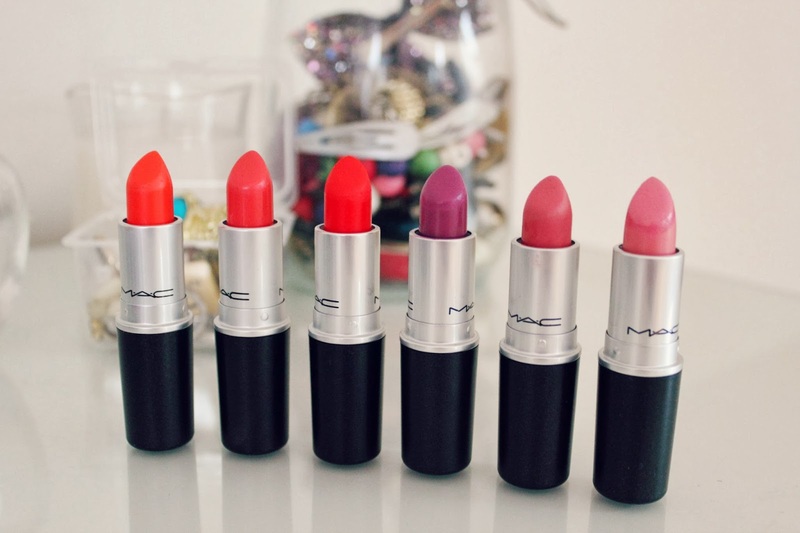 I think Mac lipsticks can be quite difficult to buy, there are so many different shades and so many varieties of shades that it can be overwhelming! 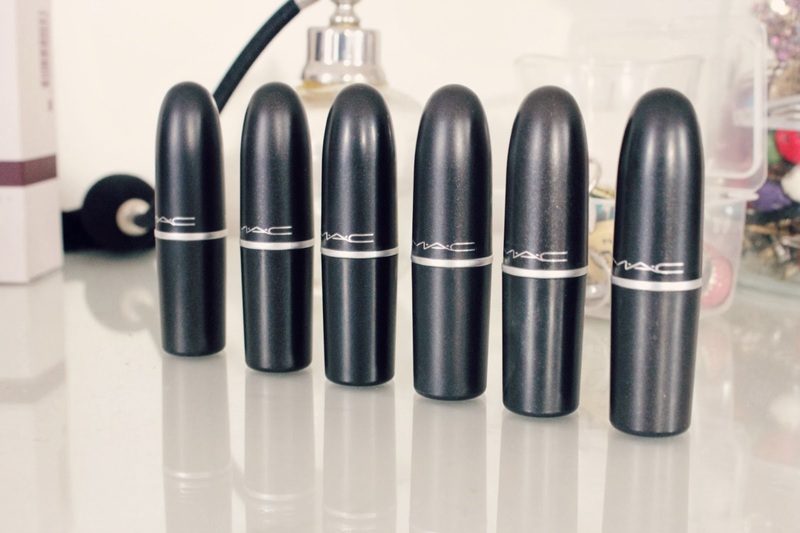 I thought I would share my Mac lipstick collection, I don't have that many but I absolutely love all of them! This is my favourite for a red lip, it is a very vivid red lip with an orangey undertone. The finish is matte so I do have to exfoliate and apply lip balm before I apply this as it can accentuate dry lips. It isn't a full on red lip which means I find it more wearable and more youthful than a classic red lip. This shade is more of a red coral, it is easy to wear and isn't as dramatic like Lady Danger. I love the finish of this, it is very creamy and easy to throw on and re-apply anywhere. It is an amplified creme, which is my favourite finish as they are very easy to wear and very moisturising. Again, this is an amplified creme so it's one that I love wearing. The shade is very vibrant and definitely more of an orange shade. It can be a bit daunting to wear as it is a lot more orange than the other two shades, but it is one of my favourites! This is another one of my favourites, but *sigh* it was part of a collection and is limited edition. I found it in a CCO a while ago, this is a cremesheen finish. I would describe the shade on the lips as a light pink with blue undertones, if you like the look of this, I've read that Saint Germain is the most similar to it! This is a matte shade, so like Lady Danger I have to make sure to exfoliate my lips and prepare them more than usual although I don't find it quite as matte as Lady Danger. It's a really pretty and wearable medium pink colour that I think would suit a lot of different skin tones. This is another amplified creme lipstick and it's probably my favourite shade out of the ones I own. It's such a unique shade and can be toned down to get a more subtly colour, Mac describe it as a "lavender violet." The finish is so creamy and it's lovely to wear! 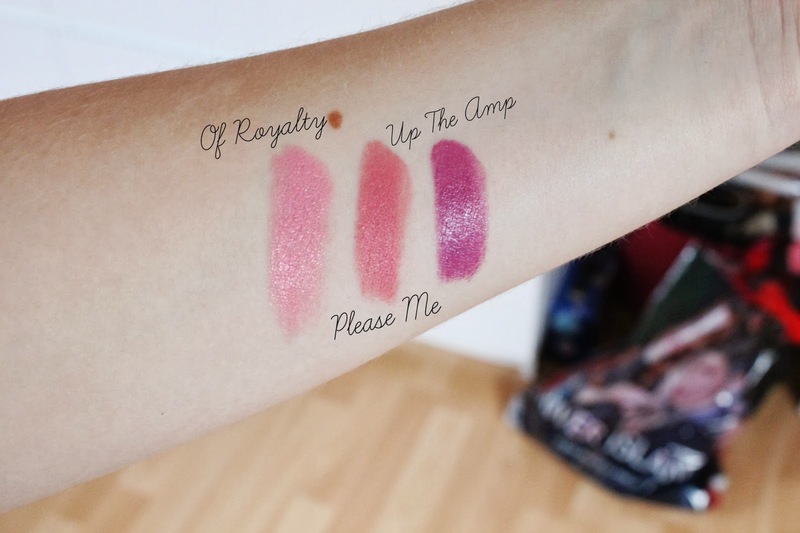 Love your collection, I only have two MAC lipsticks so far but I've put 'please me' and 'up the amp' on my wish list now! Gorgeous colours and a great range of different tones :) shame the 'of royalty' was limited edition as it's beautiful! I completely agree at how overwhelming it can be to try & choose from the hundreds of MAC lipsticks that are out there, which is why i always go by blog swatches & pics to help me choose my next colour. 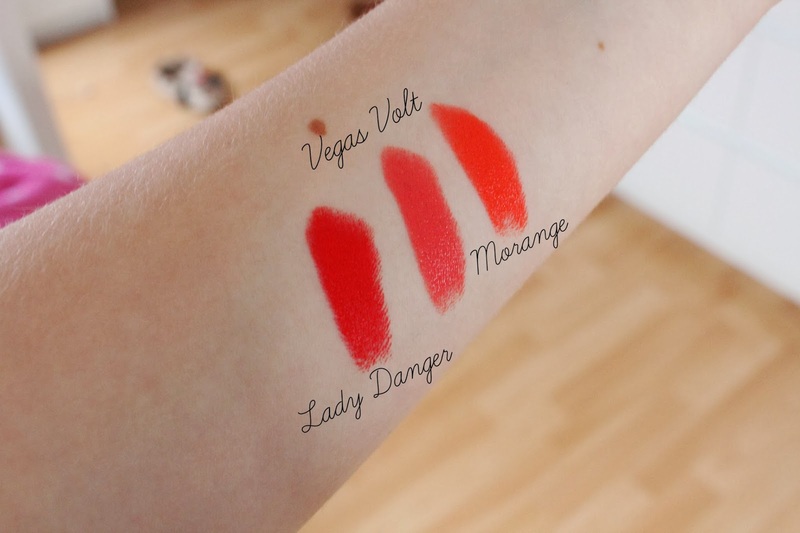 Your pics are great, i have Vegas Volt so i can tell how accurate these swatches are as its so true to the colour. I've debated getting Up the amp for a while now as its such a different colour to what i usually wear i wasnt sure but after seeing your swatch im sold! Nice collection! They're all really unique - I somehow don't own any but I now really want of royalty and up the amp! I love how your collection isn't all the same and you have explored different colours! Gorgeous. Please me is lovely! That'll be going on my list.